They have some beautiful looking cakes, all made on the premises, soups, panninis and sandwiches and drinks. I will be sure to support them, as we really need something like this to revive the Bowdon area. I have always thought it a shame that we don’t have a coffee shop nearby. I wish them all the luck and hope it will be a huge success! 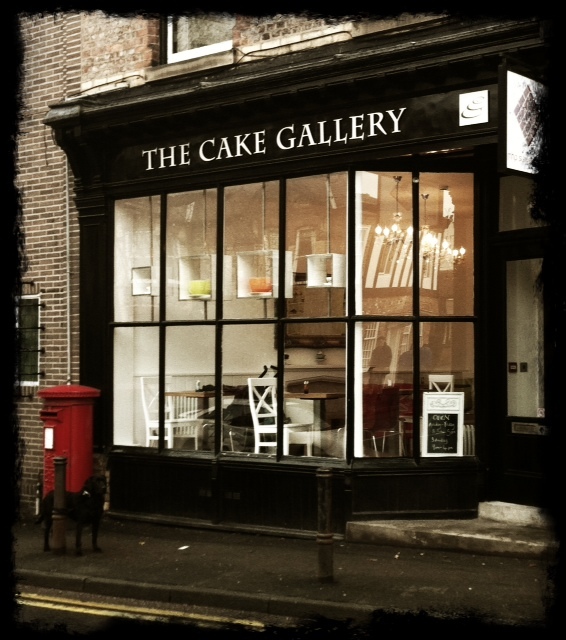 I take it upon myself to ensure that quality is maintained…and to that goal I pledge at least a once weekly trip to the Cake Gallery to work my way through the delicious cakes, scrumptious soups and extremely good coffee…so far, I can conclude that standards have been maintained! However, I am committed to this duty and will continue to check the quality…it's a hard job though someone must endeavour to do it…I am selfless in the extreme…! !